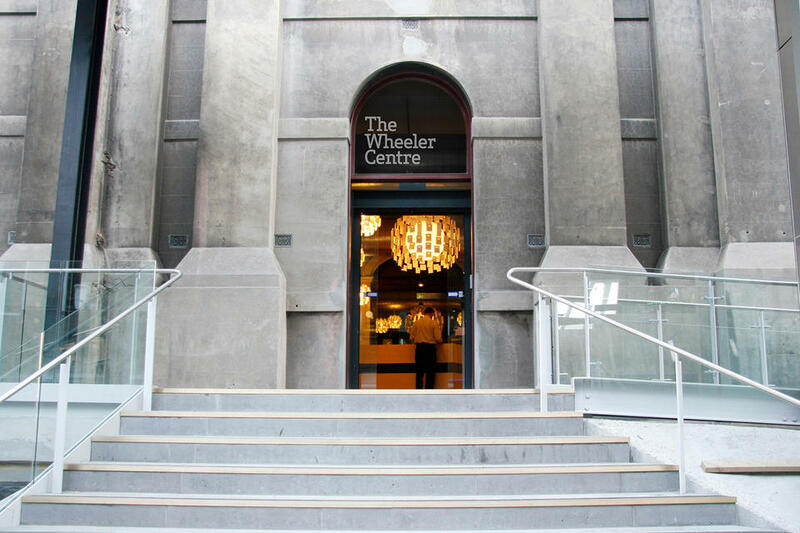 Australia’s first centre for books, writing and ideas, the Wheeler Centre is Melbourne’s home for smart, passionate and entertaining public talks on every topic. Across more than 200 events each year, you’ll find some of the finest local and international thinkers and speakers, sharing their expertise, their imagination and their ideas. As the centrepiece of the Victorian Government’s City of Literature initiative, the Centre is a hub and home for writers and key literary organisations, including the Melbourne Writers Festival, Writers Victoria, Express Media, Emerging Writers’ Festival, Australian Poetry, Small Press Underground Networking Community (SPUNC) and the Melbourne branch of PEN International.